Just like pro tour clients know, a strong personal training regimen is essential to a winning golf game. 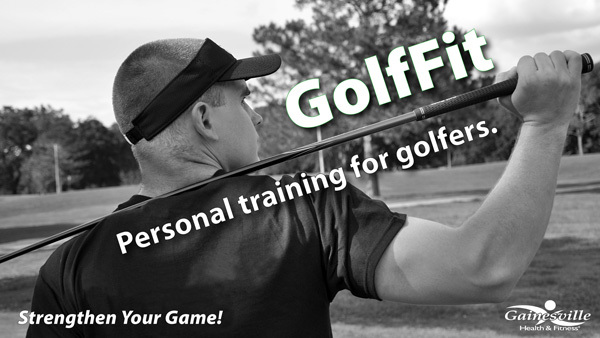 GHF Personal Training has sports specific personal trainiers to build stronger golfers. Prehab: exercises designed to prevent or rehab common golf injuries. Dynamic Warm-Up: movement to increase power production, decrease post-activity soreness and reduce recovery time. GolfFit Strength: GHF personal trainers lead the client through their customized golf-specifc strength training program. GolfFlex: Stretching exercises tailored to the client to increase flexibility. If you are looking for strength, flexibility and more power in your golf game, then you are looking for GolfFit.